I have seen this sign every day for several weeks at a local car wash but had the opportunity at a stoplight to snap a quick (although nowhere near professional) picture. 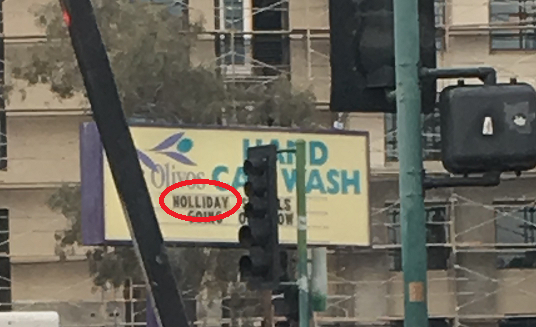 Yes, this sign–misspelled “holiday” and all–has been up for weeks. 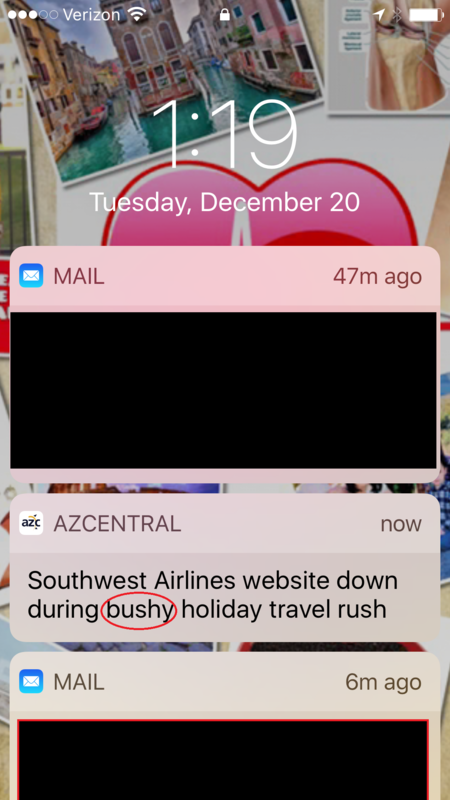 I saw this notification on my phone while traveling recently during the “bushy” holiday season. 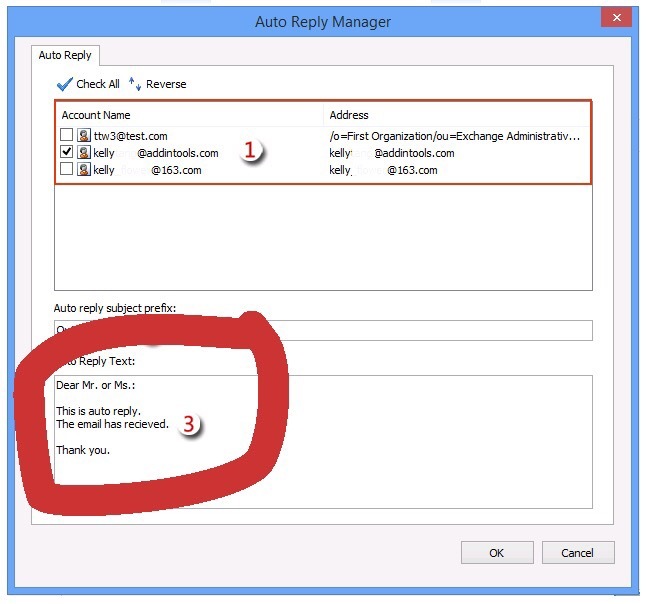 This was in an article that I found while researching how to auto reply to external messages only. Try as I might, I’m afraid I would think much less of a person from whom I received this out of office message. ALWAYS proofread your out of office messages. It is your message to the world. Make it a good one. Almost exactly a year ago, I posted a similar Grammar Giggle (Take a Peak At This) from a different local news station. It must be something about the season that brings this out in news stations. Again, peak is the top, peek is to look slyly at, and pique is resentment or to offend. 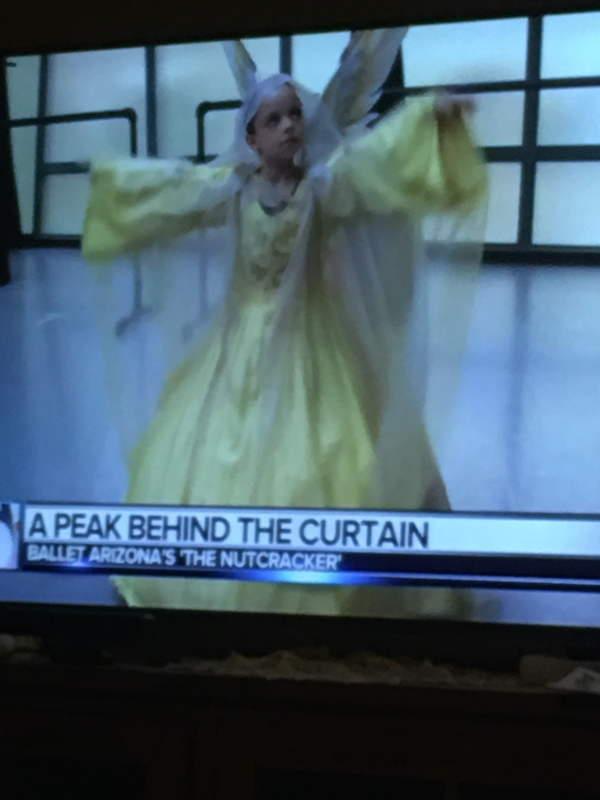 I’m pretty sure they mean they are looking slyly at the Nutcracker (because they are behind the curtain). I found this in a full-page ad for the well-known recipient of a professional award. Having done some marketing, I know how expensive full-page ads in these kinds of publications are, and it is really a shame that this kind of error is there. This is the exact reason publishers send proofs and ask for signatures approving those proofs. That makes it YOUR mistake–not the publisher’s, which means you pay for it regardless of the mistake. I had to research the partner of the person from the Firm Bio Grammar Giggle earlier this week and you’ll never believe it, but this bio was worse! Not only are there numerous misspellings, but the bar association in Arizona is called the State Bar of Arizona NOT the Arizona State Bar Association. Those details are really important. This could very well be the first impression people get of you, make sure it is a good one.